The primary purpose of the baptism in the Holy Spirit is to give the church power to be witnesses for Christ and fulfill the Great Commission. 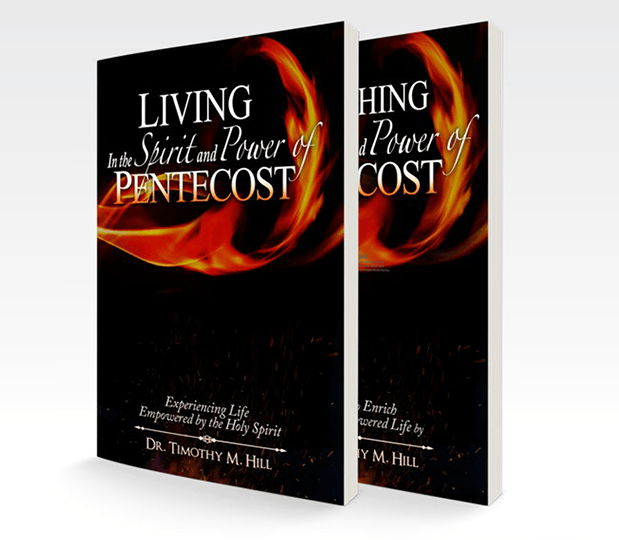 In these two thrilling and impactful books, Dr. Tim Hill draws from more than forty years of preaching about Pentecost and the baptism in the Holy Spirit emphasizing that believers are not filled for their “enjoyment” but for their “employment” to effectively reach the world with the gospel of Jesus Christ. Visit pathwaypress.com for more info. Dr. Tim Hill was appointed as General Overseer of the Church of God at the 76th International General Assembly in 2016. He was previously director of Church of God World Missions.